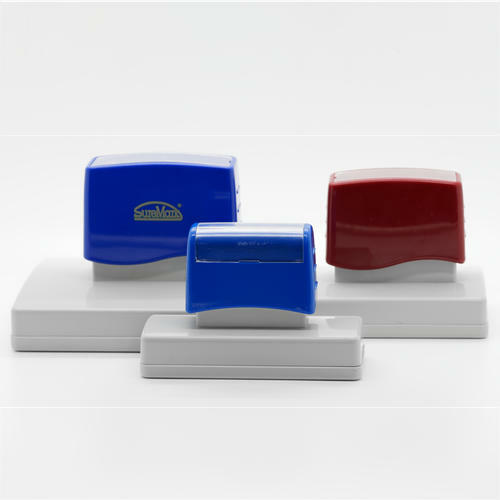 Ideal for larger stamps that require image sizes larger than the self-inking range. Perfect for warehouse stamps, factory stamps, etc Made using a flash system. An ink-embedded pad sits at the back of the text plate and the ink seeps through.